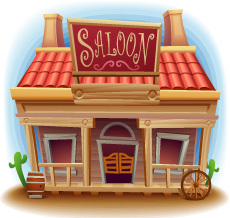 Wild West is a simple online video slot machine from NextGen Casino Gaming. Right from the name you can tell that it’s a game where all the action is going to happen in the Wild West. 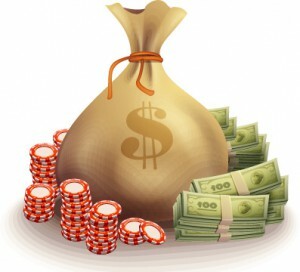 There are a few superb features available and the big pays will show up very fast. This is a new addition to the collection of online slot machines and there are 10 pay-lines available. There are a few interesting features available while playing this game and this way you can find the wild symbols, the free spins where there is the chip prize feature. At the same time there will be also a superbet feature which is an innovation which is available at many NextGen slot machines. This allows you to wager more, but the wins that come from the wild will have a 5x multiplier attached. 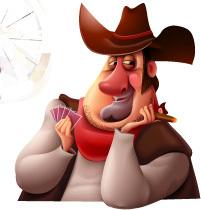 The wild symbol at the Wild West slot machine is represented by the cowboy. This symbol can only appear on the reels in the middle and they have the power to replace any symbol you might need in order to get a winning combo. 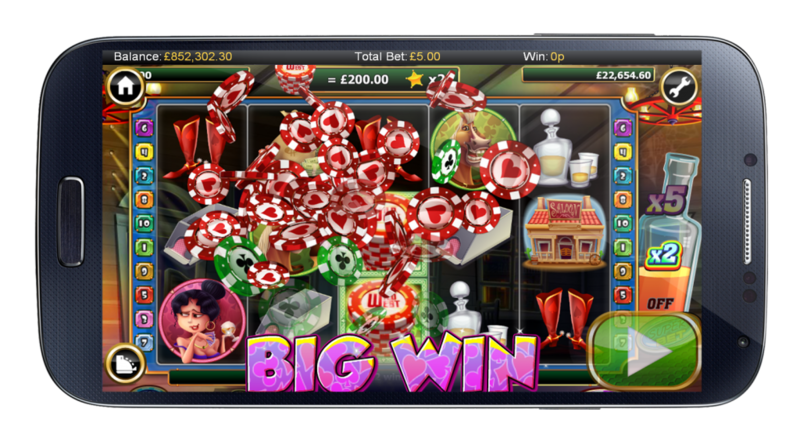 There is also the possibility to get a 5 free spins round awarded to you in case you get the symbols part of a winning line. The free spins have a feature which is called the Chip Prize. This way during this bonus round every time you get a chip stack symbol on your reels, you should be able to cash in an interesting prize which is random. The Wild West video slot machine holds 10 pay-lines and the maximum bet you can place is worth 40 coins. At the same time the coin denomination ranges from $0.01 and up to $2.00. This leaves you with the chance to wager up to $80 for each spin. Another feature that is worth mentioning regarding this video slot machine is the gamble feature. There you can double or quadruple your winnings. This is really great especially for the ones that like to risk it all. 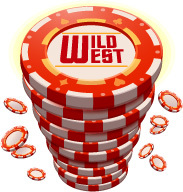 There are many things that should make you feel exciting when joining the fun at Wild West slot machine. 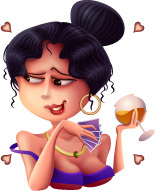 You get to see a lot of action and at the same time you don’t have to risk too much from your bankroll, as you can start seeing the magic happen with as little as $0.01.